If you read our last post (Cloth Diapering Newbies Part I) and feel like you warmed up to the idea of using or switching to cloth diapers but still have some hesitation about the daily ins and outs of cloth diapering, then this post is for you. So you are considering buying a stash of diapers, how many do you need? How often do you have to wash them? And how do you store the smelly demons until you wash them? If these are the questions you’re having, keep reading. We hope to have answers for you! How many diapers does a baby need a day? How often do I need to do diaper laundry? As I mentioned above, we try to wash our diapers in the morning every 3rd day. So if we wash them Monday morning we won’t do laundry again until Thursday. Every now and then, we will do an extra load a week but for the most part we wash them 2-3 times per week. The more diapers you have the less often you have to wash them but even with our humble stash of 32 we are able to make it work. To think of it another way, we usually know it’s time to do laundry when we have 5 folded diapers left on our changing table shelf. By the time the remaining 27 diapers are washed and dried (5hours later), baby has gone through about 3 diapers so we always have a cushion of 2 diapers. If you decide on a smaller stash, say 24-28 diapers, you will probably have to do laundry every other day. It really comes down to what you are comfortable doing and what you can afford. “I heard about these wonderful things called ‘flushable diaper liners,’ should I buy them?” Can I flush them down the toilet? No, no and no! Just no. Cloth diaper liners are technically (and in a perfect world which doesn’t exist) a way to keep your diapers from getting stained and keep you from having to clean them more vigorously by hand.Yes, the labels say FLUSHABLE, but NO, they ARE NOT SAFE FOR A NORMAL SEWAGE LINE! 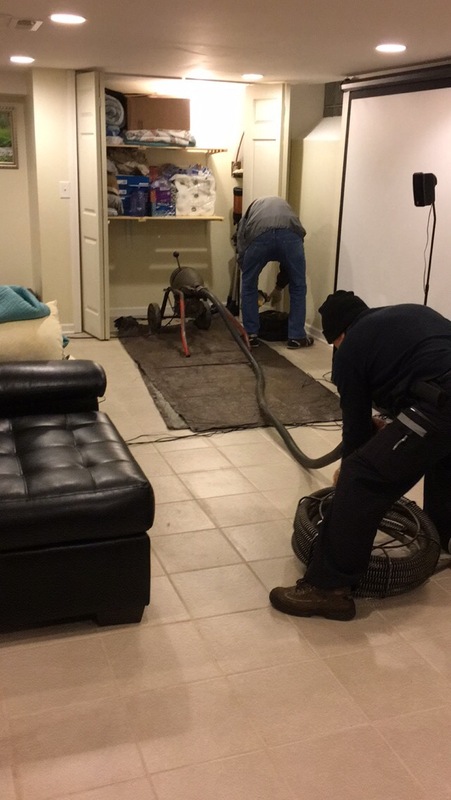 We speak from personal experience and a nice $200 to the plumber who snaked out 4 months of these liners. They were clearly not biodegradable like they said they were. We should have known when they made it through our washer and dryer on accident but we naively trusted the label. Would you flush baby wipes or Clorox wipes down the toilet? If your answer is no then you wouldn’t want to do that for these as the material they are made out of is pretty much the same. In other words, don’t waste your time or money on these. If you’re going to cloth diaper, you have to be okay with occasionally getting your hands dirty. What type of diaper pail should I get? Will it keep the lovely scent of poop away? There are many diaper pails out there that are made specifically for cloth diapers. 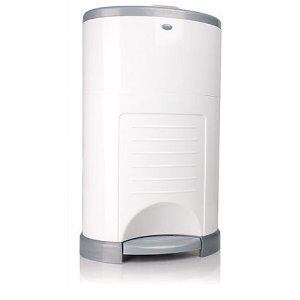 We’ve seen people use your everyday trash cans but we personally did not want to take a chance with the smell. After a bit of research we decided to go with the Dekor Plus because we liked its design with 2 flaps, which helps to keep the nursery odor-free. The only downside to the Dekor is that because cloth diapers are bulkier than disposable diapers, it fills a lot more quickly. Which means diaper laundry every 2-3 days. We personally don’t mind and it’s a sacrifice we are willing to make but if doing laundry that often is not in your plans then cloth diapering might not be for you. 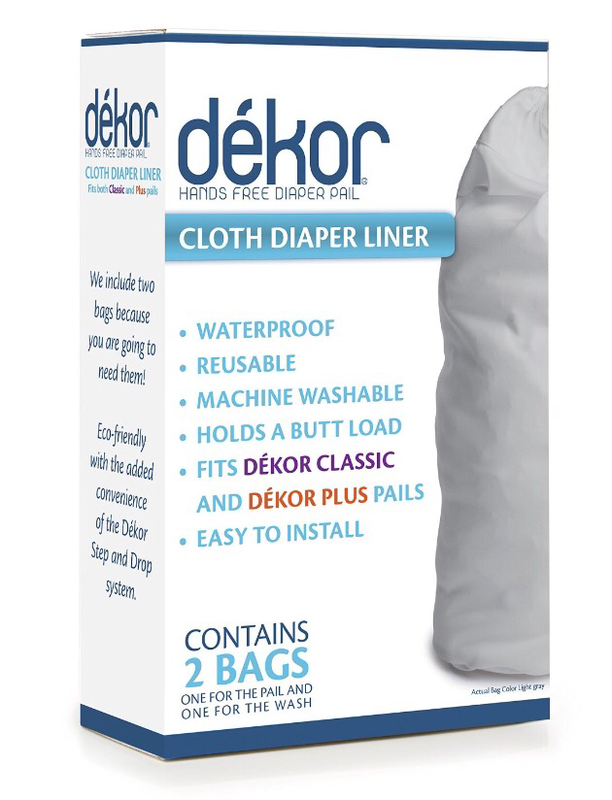 Other than that we would personally recommend getting the Dekor pail and purchasing the 2-pack Cloth Diaper Pail Liner to go along with it. These pail liners are machine washable-we just empty the diapers & inserts into the washer and toss the bag in right after. And since there are two, you’ll always have a liner in the pail even when it’s laundry day. We also recommend getting a wet bag to keep in your diaper bag to contain dirty cloth diapers when you’re out of the house. We have one that came with our set of Adovely diapers but you can purchase one separately for pretty cheap like this Diaper For A Change, Inc on Amazon. What about the water bill that will come crashing down on me like the hammer of Thor?? I work in finance so I know my numbers. I had always heard the retort that cloth diapers don’t save money or the environment because of the use and cost of water. This is simply a myth. After we switched to cloth diapers, I created a schedule in excel keeping track of how many times we washed our diapers in a week. Turned out we were averaging around 2-3 laundry days a week for a total of 12 a month. The damage? Our water bill has gone up on average between $5-10 a month. This is nothing compared to the cost and waste of baby wipes and the plastic bags to contain them. If, after all this, you’re still seriously considering cloth diapering but are not sure if your lifestyle can accommodate the washing and drying of cloth diapers then check back soon for Part III which will cover all the specifics of what diaper laundry entails. Our hope is that if you really feel strongly about cloth diapering but find it intimidating, you no longer will. This entry was posted in Baby and tagged baby, cloth, cloth diaper, cloth diapers, diaper inserts, diaper liners, diaper pail, diapers, liners, washing diapers, water bill. Bookmark the permalink.